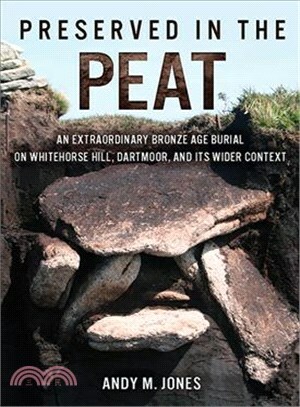 Excavation of a Scheduled burial mound on Whitehorse Hill, Dartmoor revealed an unexpected, intact burial deposit of Early Bronze Age date associated with an unparalleled range of artefacts. The cremated remains of a young person had been placed within a bearskin pelt and provided with a basketry container, from which a braided band with tin studs had spilled out. Within the container were beads of shale, amber, clay and tin; wo pairs of turned wooden studs and a worked flint flake. A unique item, possibly a sash or band, made from textile and animal skin was found beneath the container. Beneath this, the basal stone of the cist had been covered by a layer purple moor grass which had been collected in summer. Analysis of environmental material from the site has revealed important insights into the pyre material used to burn the body, as well as providing important information about the environment in which the cist was constructed. The unparalleled assemblage of organic objects has yielded insights into a range of materials which have not survived from the earlier Bronze Age elsewhere in southern Britain.